No matter how careful the kids are, accidents happen -- crayons intended for the coloring book end up going beyond the lines, all over the coffee table. While the crayon marks may seem like cause for alarm, they are not permanent. 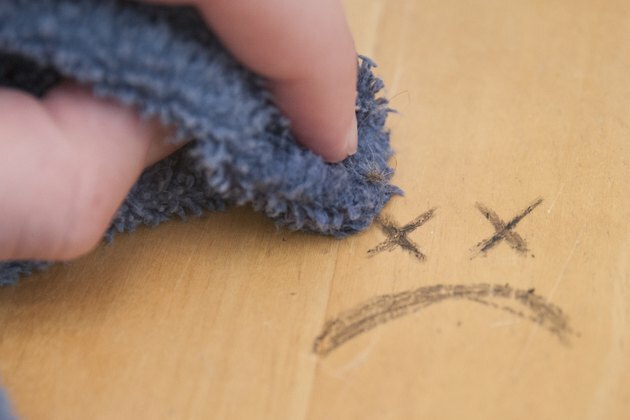 Removing scribbles from the wood coffee table requires nothing other than household materials; if one method doesn't work for you, try another until the table is crayon-free once again. Spoon a bit of mayonnaise over all the crayon marks, creating a thin layer over them. Allow the mayonnaise to sit for several minutes. 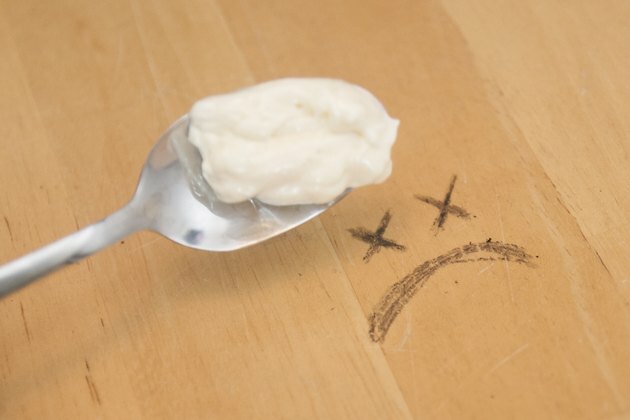 Wipe the mayonnaise away with a damp, soft cloth. Repeat the process if any crayon remains, and then dry the table with a fresh soft cloth. Squirt a non-gel toothpaste over the crayon marks, spreading it into a thin layer with your finger. Allow the toothpaste to sit for five minutes or so. Then wipe it away with a damp, soft cloth. 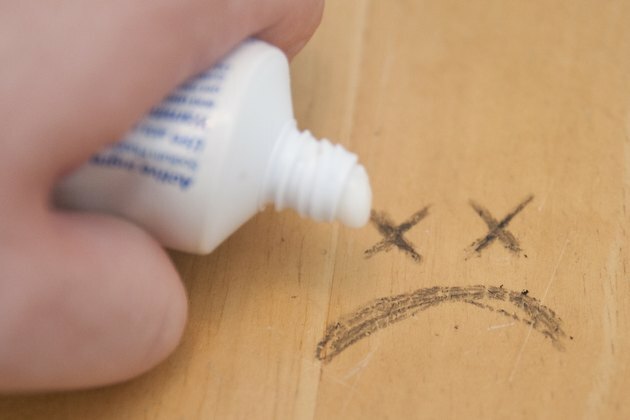 Mild abrasives in the toothpaste clean debris such as crayon wax off of wood furniture. Dry the table with a fresh soft cloth to prevent moisture damage. Squirt some water-displacing lubricant onto slightly damp, soft cloth. Gently buff the crayon wax away with the cloth, working in the direction of the wood grain. 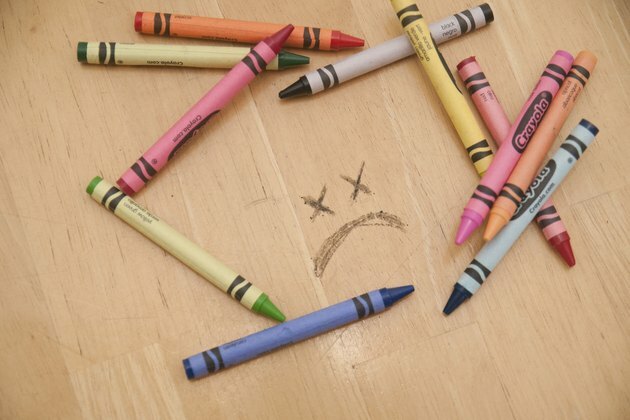 If any crayon remains, squirt the lubricant directly over the crayon marks, allowing it to sit for a minute or two before wiping it clean with a damp, soft cloth. Dry the table with a soft cloth. Moisten a soft cloth until it's fairly wet but not dripping. Wrap the cloth around a finger or two, and then pour a little baking soda over your covered finger. Rub the crayon marks with your covered finger, generally following the direction of the wood grain. 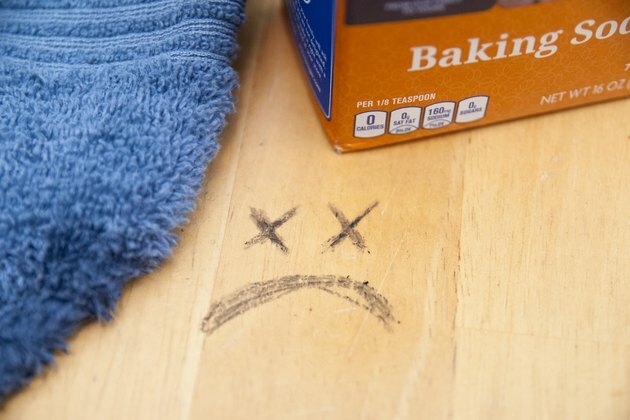 Wipe the baking soda away with a soft, damp cloth, followed by a dry cloth.